UNITED NATIONS — Thousands of children trying to escape gang violence and poverty in Central America have made their way to the United States this year — and there is no sign that the flow is letting up, the U.N. children's agency said in a report released late Monday. In the first six months of 2016, UNICEF said almost 26,000 unaccompanied children were apprehended at the U.S. border along with 29,700 people traveling as a family, mostly mothers and young children. Most are from El Salvador, Guatemala and Honduras, three countries with some of the world's highest murder and poverty rates, UNICEF said. "It is heart-rending to think of these children — most of them teenagers, but some even younger — making the grueling and extremely dangerous journey in search of safety and a better life," UNICEF's Deputy Executive Director Justin Forsyth said in the report. "The flow of young refugees and migrants highlights the critical importance of tackling the violence and socio-economic conditions in their countries of origin." The United States pressured Mexico to step up detentions of migrants after the number of unaccompanied children arriving at the U.S. border soared to more than 44,500 in the first six months of 2014. Last year, Mexican authorities apprehended nearly 36,000 children, more than half of whom were unaccompanied. By comparison, Mexico detained just 9,600 children in 2013. According to Mexican government figures quoted by UNICEF, more than 16,000 migrant children from El Salvador, Guatemala and Honduras were apprehended in Mexico during the first six months of 2016. But thousands still make it to the United States. While unaccompanied children apprehended in the United States are guaranteed an immigration court hearing, they are not entitled to a court-appointed attorney. But UNICEF cited data showing that having an attorney makes a huge difference. A comparison of cases initiated in 2015 showed that by June 2016, 40 per cent of unrepresented children were ordered deported, compared with 3 per cent of children who had lawyers. "If deported, some of them could be killed or raped by the gangs they sought to escape in the first place," UNICEF said. 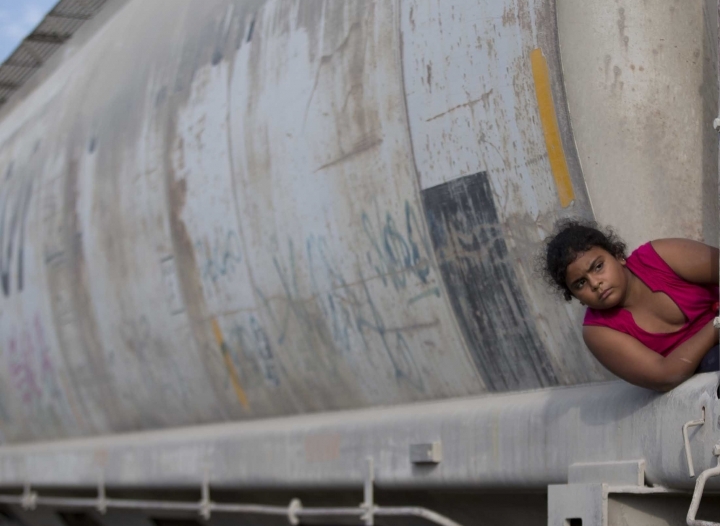 UNICEF detailed the risks of trying to get to the U.S. in the report entitled "Broken Dreams: Central American children's dangerous journey to the United States." They range from being trafficked, kidnapped or targeted by powerful criminal syndicates to dying in the desert heat. Many girls have reportedly been forced to work in brothels and bars in Mexico and Guatemala, and UNICEF quoted an Amnesty International report saying as many as six out of 10 women and girls experience sexual violence during their journey. UNICEF said child migrants should not be detained and should have full access to health care and other services, and be allowed to live with their families whenever possible. With its partners, UNICEF said it is working to address the causes of migration. "We must remember that children, whatever their status, are first and foremost children," Forsyth said. "We have a duty to keep them safe in a healthy and nurturing environment."